Car owners like you often find themselves in need of a little pick me up, or more specifically, a tow to pick their car up. It doesn’t matter whether it’s a dead car battery or you’re out of gas or there’s a problem with the radiator – when you need a tow, you need it now. The last thing you need to be worrying about it how much this will set you back financially. We at Delta Towing of Dallas and our network of independently owned and licensed affiliates know how much this could set you back and how you need a break (especially when an unexpected car repair or expense becomes necessary). That is why we offer our service affordable, without sacrificing anything in quality for you. You can have a tow truck service in Dallas without risking damage to your vehicle, or your pocket, as we offer our towing service without compromising on service quality. Our professional policies at Delta Towing of Dallas are the first thing that sets us apart as a place of high-quality service. First of all, we’re available 24 hours a day, 7 days a week for your business – no closures on nights, weekends, or holidays. Accidents and bad things happen at a time that is convenient for nobody, so we keep our doors open for you. Additionally, they always seem to come at a time when you need to get somewhere quickly, so we send our technicians quickly to your side within a fast response time of your call for help. Our company knows the local community well and serves it gladly and eagerly, so you can rest assured that each of our technicians knows the area well enough to reach you in a timely manner and get you on your way to the rest of your appointments. We want to serve you and make your life better, not worse, so we keep our doors open and your questions answered. Cost is one of the biggest hindrances to getting your car fixed. Many drivers allow their vehicles to continue to run with significant problems, knowing that one day they may have to fix them but they just can’t afford to do so now. Let us help you by offering an affordable and quality service so that you can prevent future disasters and expenses. We and our licensed affiliates keep all our pricing out there, up front, so that you can see for yourself just how our prices compare to others in the area. 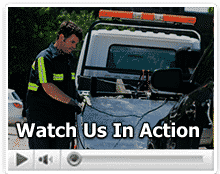 For an excellent quality tow truck service, choose Delta Towing of Dallas.